//getSource() method give object reference of button during click event. 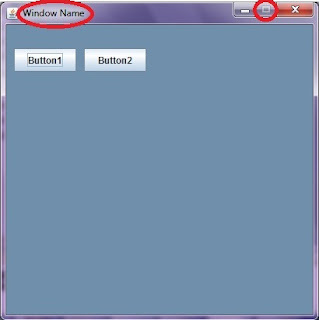 if(ae.getSource()==Button1) // Executed when button1 pressed. else if(ae.getSource()==Button2) // Executed when button2 pressed. //Resizable option....If u set as ture, user can able to resize the window..